Video excerpt of Dreaming of Deliverance 2! It's late, I'm tired, I need to hit the hay, but super quick before I turn in, I wanted to tell you about my new YouTube channel! Every couple of weeks I will be posting a video. 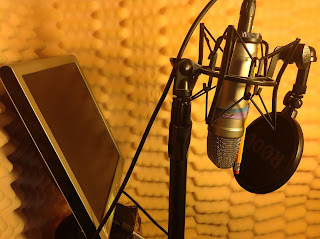 The videos will include footage of me reading from my works-in-progress, short stories, clips in the booth of me recording other writers' audiobooks (with their permission, of course), and anything else that I think might interest people. Check it out, and let me know what you think! I will post another video there soon!